Written by Matt W (Greenhousestores) on 5th May 2017. 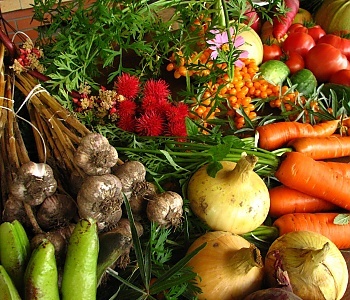 It’s beautiful to see there are still people who wish to grow their own vegetables. The urban era is gaining fast, and most people think that the easiest way to live healthy is to order your vegetables online or shop at your closest grocery store. Since you’ve already made up your mind, let’s discuss the things you need to grow vegetables at your home, the best seeds to grow, and similar things. Even though enthusiasm is important, good will alone isn’t enough to grow vegetables at home, I’m afraid. There are some things you need to consider, such as the soil where you will plant the vegetables, are you going to build a greenhouse (or not), what techniques will you use, and, most importantly what vegetables will you plant. How does soil impact the growth of vegetables? Plainly speaking, you can’t just move out because the soil is not right for the vegetable culture you intended to grow. Theoretically speaking, you could, but most people wouldn’t. The soil is composed of various minerals that can heavily impact the outcome of your vegetables, but there’s also the issue of water-retention properties. Some soil types retain water pretty well, some simply don’t. If you’re unsure about the type of soil you have in your yard, it’s best to call a professional and schedule a check. These tests are moderately cheap, and they’re often quick and accurate. 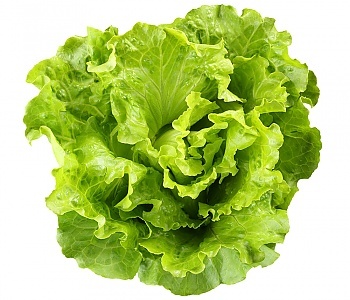 Lettuce is very tasty, and most people like their sour aftertaste. Since this is a versatile vegetable, you can grow it in various ways. If you want to try out home gardening, you could easily grow a single lettuce head – this is pretty straightforward, and you don’t have to worry about the length of the leaves and such. 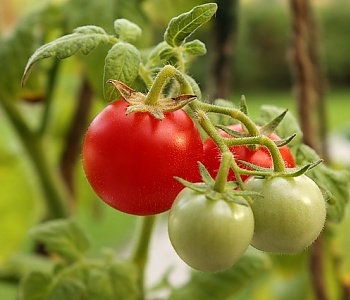 Tomatoes are everyone’s favorite when it comes to home gardening, but the story about growing them is somewhat different when compared to most other vegetables. Now, the main reason for that is because they are virtually impossible to grow indoors, hence you will have to grow them outside. You can choose whether you want to grow them within a greenhouse, or by simply laying the seeds on the soil. Most “ground” vegetables require horizontal space, but tomatoes, on the other hand, require a great deal of so called “vertical space”. Chard is, perhaps, the best vegetable to grow at home. Not only does it grow exceptionally fast, it also yields a massive amount of edible leaves per year. There’s a single peculiar thing that you will experience if this is your first time – chards can flower and bloom. When they do, they’re not exactly edible. If you want to prevent the chards from flowering, you should regularly harvest the edible leaves. This will prevent the stems from bolting and branching out. 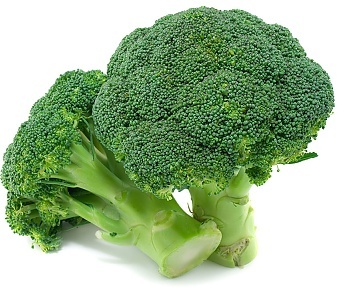 Even though broccoli is considered to be one of the healthiest vegetables on the planet (they’re very rich in iron, magnesium, calcium, Vitamins A, B6, and vitamin C), their taste is not particularly appealing to small children – in fact, most cartoons portray broccoli as a bad-tasting vegetable. That’s not entirely true – of course, there are people who like and dislike how broccoli tastes like, but there are also people who simply adore them. If you’re one of them, you might want to try growing them at your home. Growing broccoli isn’t hard. Basically, all you need to do is grow them in separate containers (usually, one broccoli per pot, each pot being approximately 15 inches deep). Broccoli are very susceptible to cabbage worm infestations, so you should always watch out for them. How to notice a cabbage worm infestation? How to prevent a cabbage worm infestation? Peas are very easy to grow at home, and they’re basically much cheaper when compared to buying them at your grocery store. They’re rich in iron, potassium, vitamins, and fiber, but they’re also very tasty and nutritious. Basically, peas can only be grown outdoors, but smaller quantities can also be kept indoors. There’s only one question that demands an answer before you decide where will you grow them – are you intending on experimenting and advancing your gardening skills or do you actually want to grow peas for eating? If you want to simply pump up your gardening skills, you can grow small quantities of peas at your home. To do so, simply grow them in separate containers, where each seed will be at least 2” apart from the next. Ten inches of depth would do the trick nicely. If you want to grow larger quantities, sowing them in your backyard will do fine. There’s only one thing you need to look out for, and that’s hot weather. Peas just can’t stand hot and humid temperatures, and they will end up bad if you place them in such conditions. 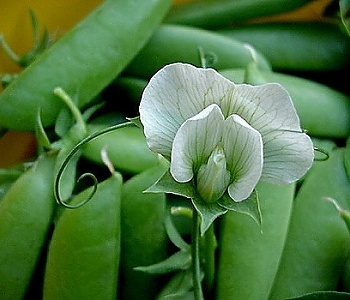 Ideally, peas should be grown in late summer or in autumn (somewhere between 4 – 20 degrees C). There’s a wide variety of beans that can be grown in home ambient – navy beans, kidney beans, green beans, snap beans, and more. Now, if you want to get the best beans ever, you should definitely try planting some dry bean seeds. They’re exceptionally tasty and nutritious, as they’re very rich in fiber, phosphorous, manganese, and iron. They grow quite slowly, so the first thing you need is patience. They also require quite a lot of attention, especially in the earliest stages of their development. Ideally, they’re best when they’re grown within a greenhouse, but most people simply plant the seeds in the ground and wait until they’ve dried up. Since you can do whatever you like during the first few months, you’ll have to dedicate most of your time to your beans after they’re ripe for harvest. You’ll know this by the color of the beans, but also by their composition. The proper time for harvest is when the beans have dried out completely on the vine. 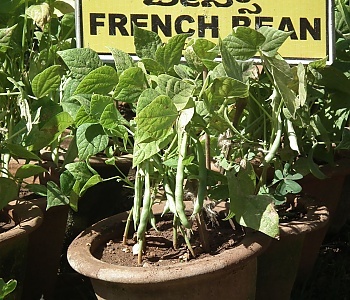 Basically, that’s all you need to know about growing beans at your home. 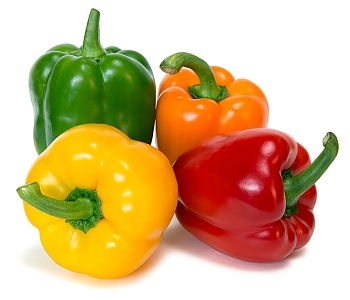 Red Peppers are in abundance in mild climates, and there’s a perfect explanation for that – most people like how these vegetables taste like, and they’re very easy to grow virtually anywhere. There are certain types of soil that could impact the overall growth, but no soil will completely reject the seeds of red peppers. Apart from being delicious, red peppers are very healthy and nutritive too – they’re rich in potassium, vitamins A & C, and riboflavin. Growing red peppers is very easy, but you’ll have to take into account the quantity of peppers you want to harvest. These vegetables grow quite fast, but you’ll have to keep an eye out for flea beetles, aphids, and similar pests all the time. Essentially, beets are fully edible – both the root and the greens are delicious, so this is why most people like growing this vegetable culture. Growing them is quite easy, but preparing them is a whole different story. Beets are very good for salad making, especially when combined with similar green vegetables (spinach is great with beet roots). Apart from that, you can always sauté the larger greens from beets as a side dish. People like beets because they’re very tasty, and they’re very nutritive – beets are very rich in calcium, magnesium, zinc, potassium, iron, and vitamins C, B6, and A. Since beets can grow quite large, you need to make sure that there’s enough space for each plant. Planting a single beet seed is often not recommended, but you can always do it for practice. Now, if you wish to grow beets in the old-school way, you need to have 12” holes for each seed, and make a space of at least 3” between each beet. Some people like larger beets, but they’re best for harvest when they’re very small. 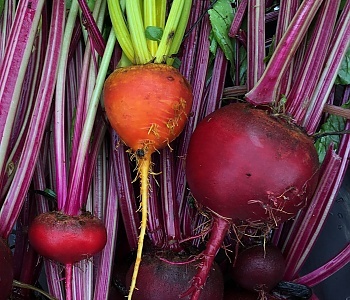 At their smallest sizes, beets retain their sweetness and their tenderness while large beets are somewhat woody (mainly because they lose some of their flavor). Growing carrots isn’t rocket science, but there are still some things you need to take into account before you can actually sow and harvest them. These vegetables are incredibly sweet and tasty, mainly because they have high concentration of niacin, manganese, potassium, fiber, and vitamins. 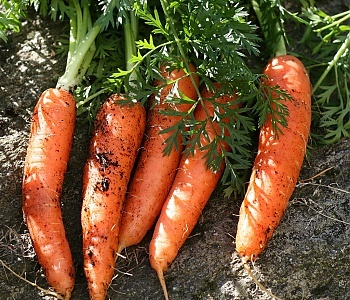 Carrots are easy to grow – just sow the seeds while providing 3” of space between each seed. They will grow quite rapidly, so it’s good to know when to harvest them. Essentially, if you do the same process as with beets, you will do fine. 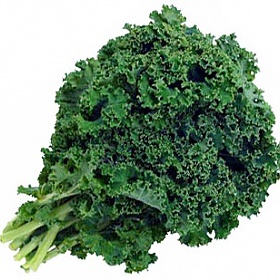 Kale is one of the “vegetable of choice” for most farmers. Lots, and lots of healthy ingredients can be found inside the structure of a single kale root, among which we can number calcium, potassium, vitamins, and iron. Growing kale requires deep holes, a lot of space, and some patience. Basically, the only things you need to look out for are the cabbage worms, humid temperatures, and heat.